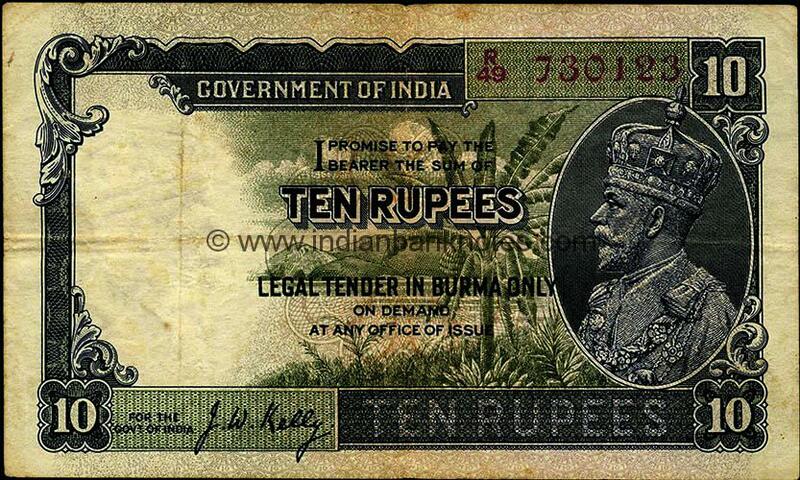 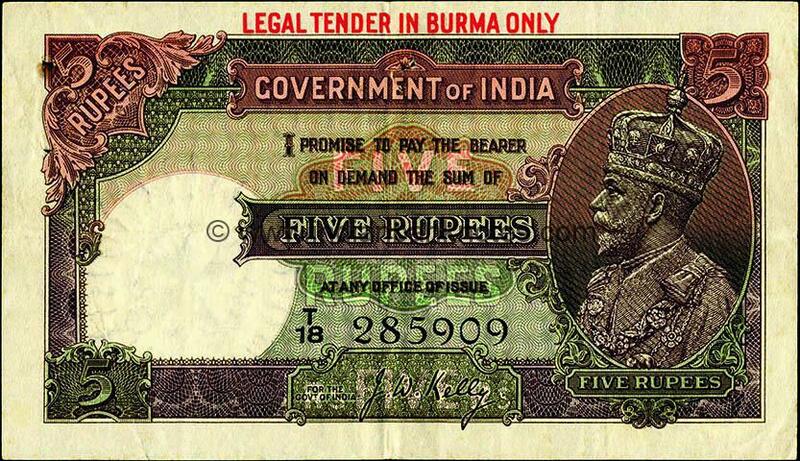 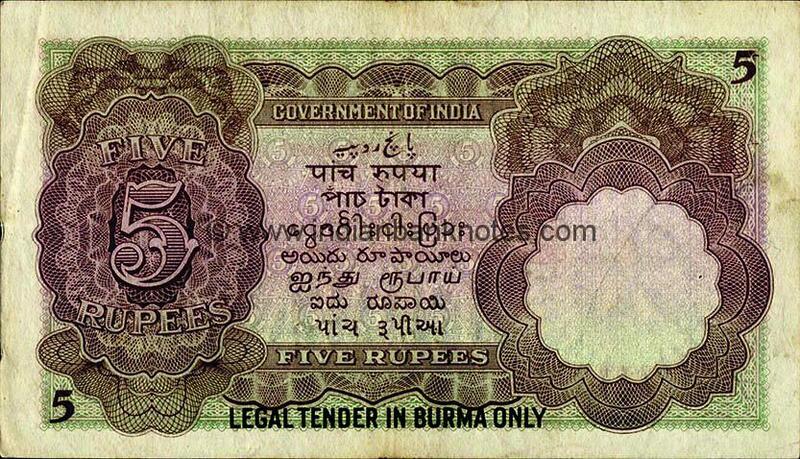 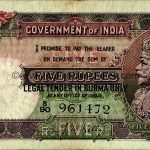 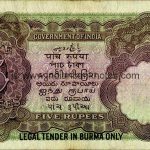 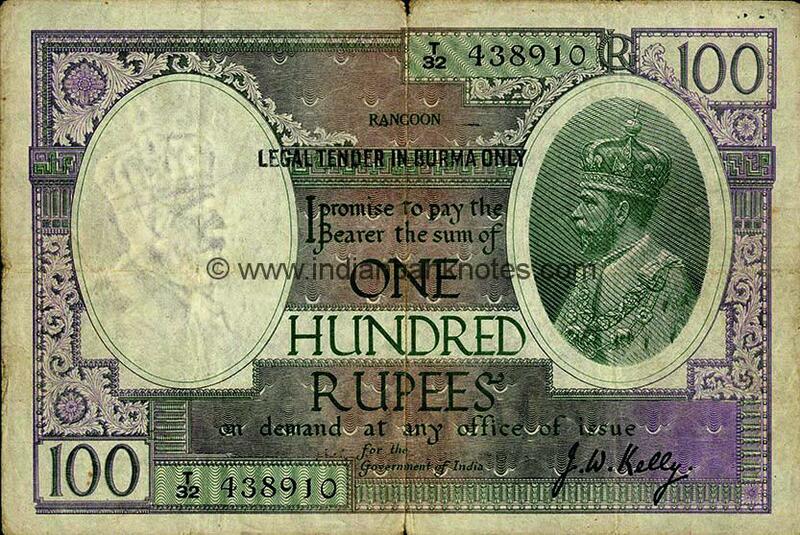 LEGAL TENDER IN BURMA ONLY. 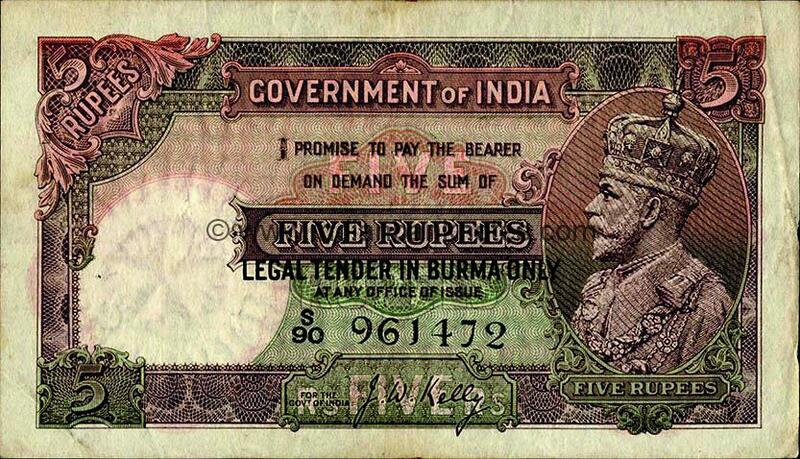 5.1.1 A J.W. 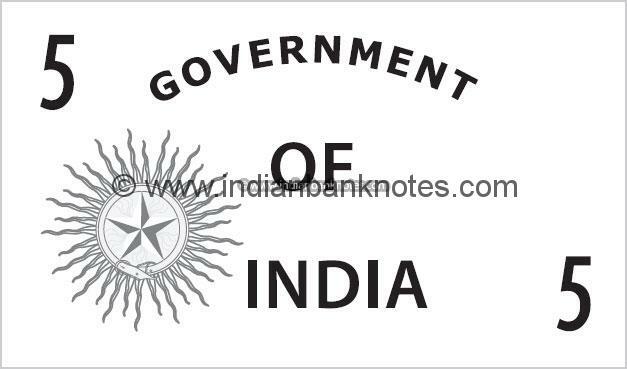 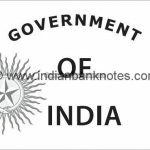 Kelly S/88 - 000001 - S/88- 200000 and S/89 and S/90 Black overprint in centre of note on obverse and below on reverse.